GUESS what’s coming to town?! The Animal Games! All the animal athletes in Trevor’s town are hopping with excitement. 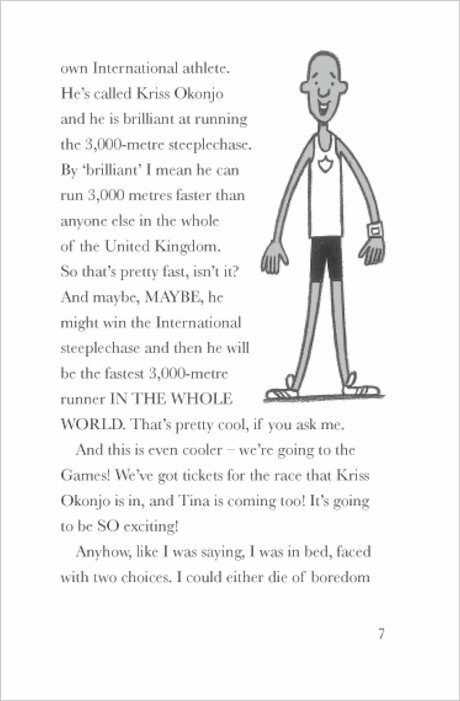 There’s going to be show jumping for horses and rabbits, racing and Discus for Dogs – and of course, Trevor simply has to enter the Hundred-Mile-An-Hour Dog! Streaker is going to go for GOLD! 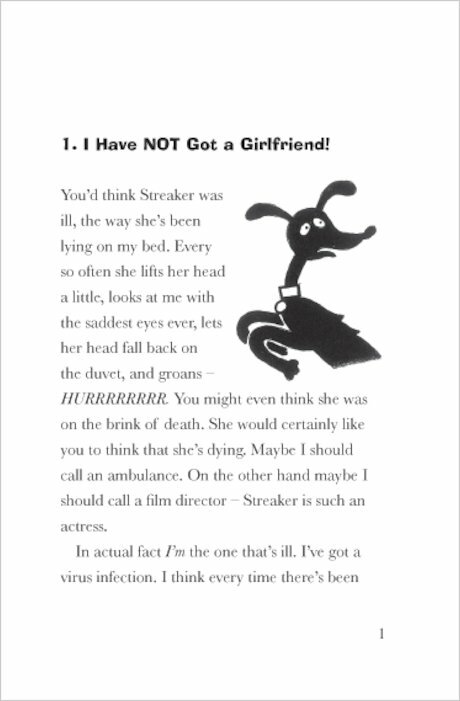 But although Streaker is as fast as a rocket, she’s also much naughtier! Mum says even a CARROT is more obedient! 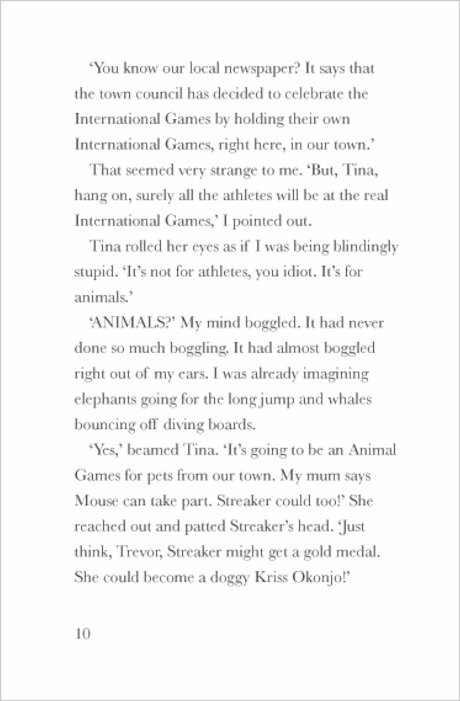 Can Trevor groom his dotty dog into a champ before the animal Olympics hit town? 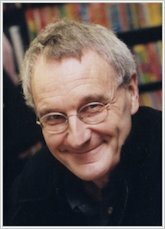 Jeremy Strong is an author that children choose to read, time and time again. Like it frantic? Like it funny? Split your sides with riotous rib-ticklers from the king of comedy, full of suspense, mystery, wild twists of fate – and Jeremy Strong’s trademark cheeky chuckles! 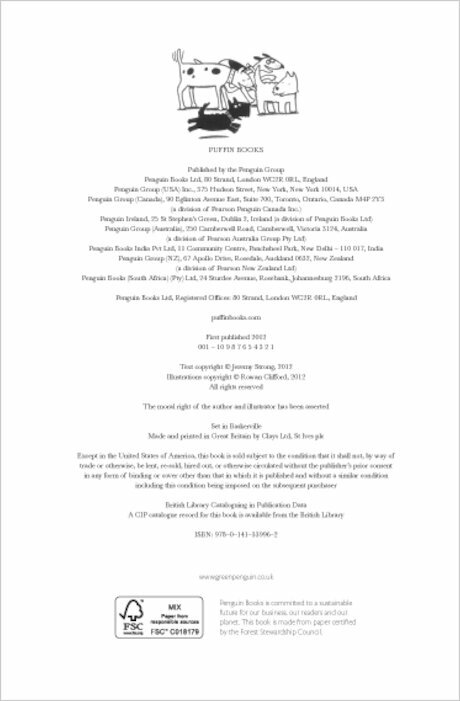 Whether it’s a baby’s bottom, a flying cow or a can of killer tomatoes, each of his books has a very silly special ingredient. 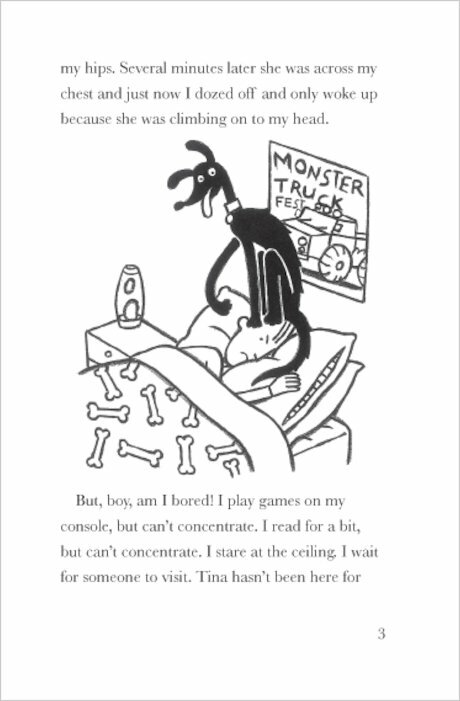 Born in 1949, Jeremy Strong has spent most of his life in a dream. At the age of three he fell out of a first floor window and landed on his head. He was in hospital for a week, with a broken arm and a headache. Luckily he recovered, although he was always accident-prone as a child. He broke various bones and had stitches for big head cuts. 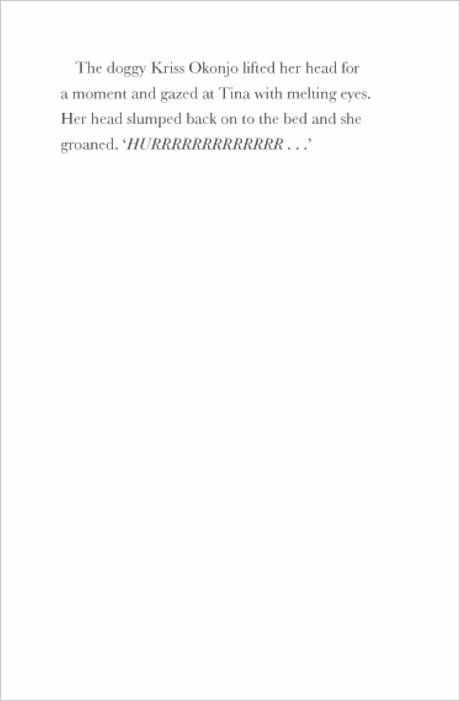 This was because he spent most of his time out in the fields near his house playing. 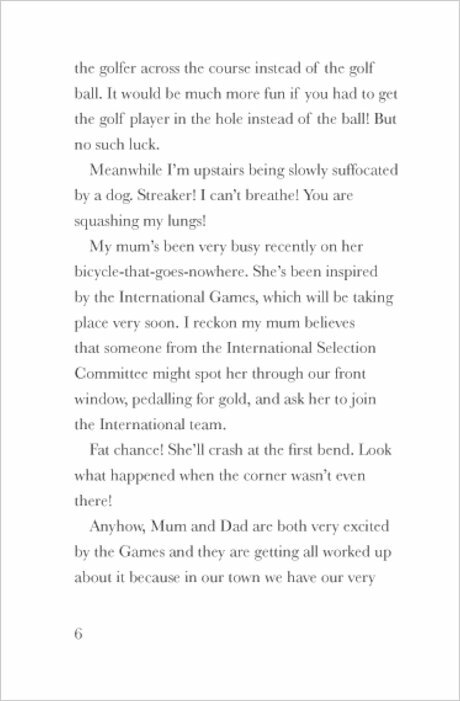 The ‘stitches score’ went something like this: Riding a bike at a thousand miles an hour – five stitches. Falling out of tall trees – four stitches. Playing kiss-chase – three stitches. At school he enjoyed playtime, lunchtime, and half past three. He also liked making things up and writing about them. He spent his teenage years writing poems for his girlfriend, Susan, until she gave in and married him. After his eventful childhood he eventually became a primary school teacher, and is now a full time writer. 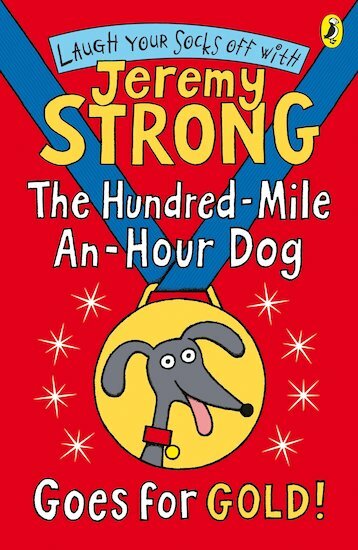 He has written over 70 books, including the hugely popular Hundred Mile an Hour Dog books. 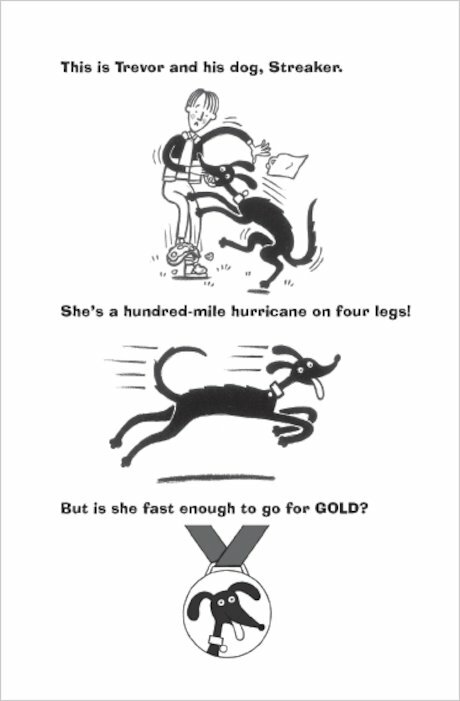 Streaker is the fastest dog in town. In the world! 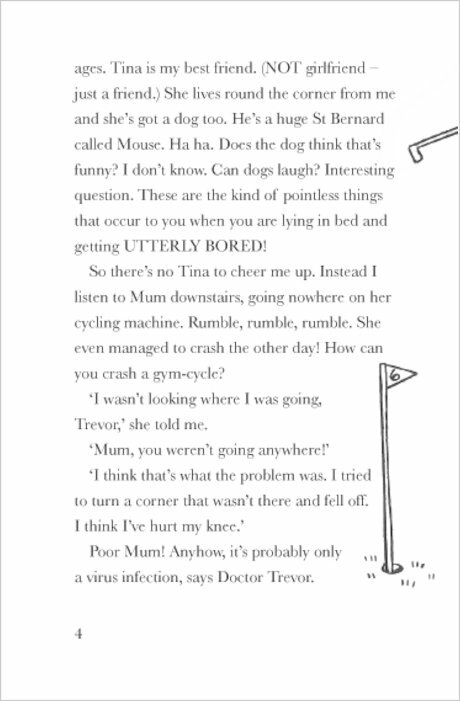 This is another thrillingly funny book about his and Trevor’s adventures. 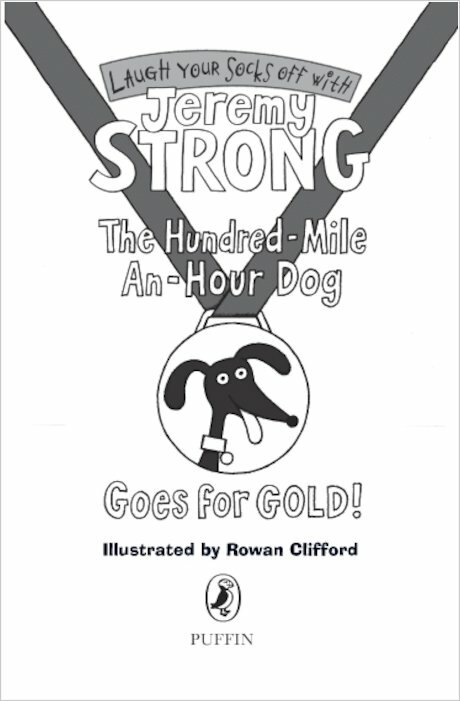 This is an excellent book about a dog a girl and a boy and they are trying to win a gold medal for there dogs but there enemy charlie Mugg is trying to sabotage them but in the end they win a gold medal and charlie doesn’t. 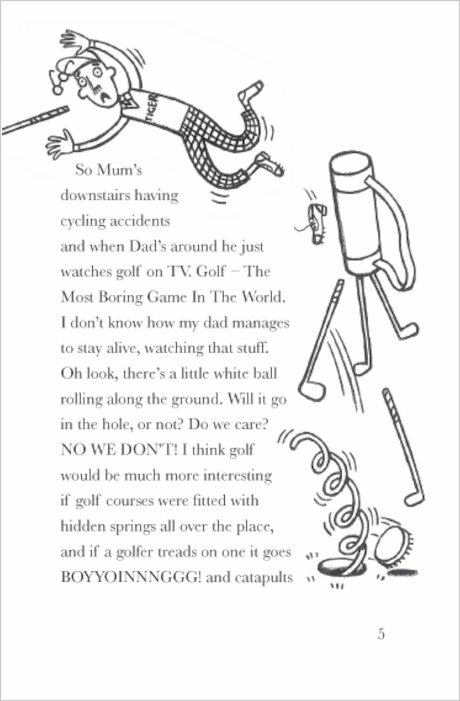 One of Jeremny Strong’s most hilarious books!Made me laugh out loud! Good book! And very funny. 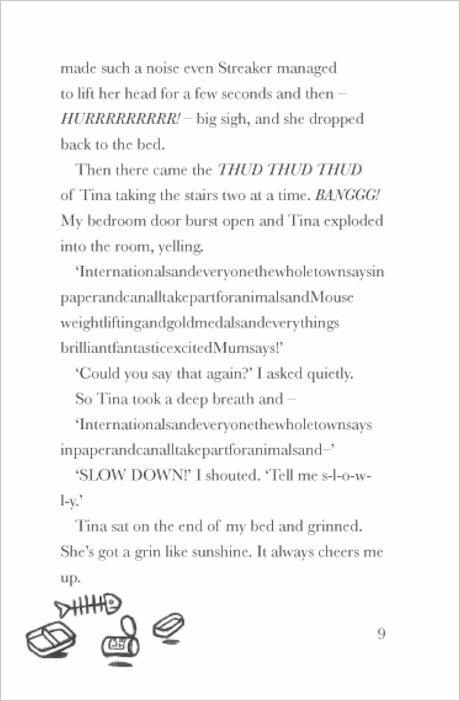 I think that this book was very funny and exciting.